There’s no denying the new ‘social’ way of life is changing the way we live and in turn, the way we interact online. There’s that word again. Social. We want to jump in head first to the world of social proofing; what is it? How has it changed online behaviour? How it affects customers decisions and therefore, business decisions. We look at strategies and will hopefully provide you with a nice little doggy-bag of actionable takeaways. We all know by now how social media can influence users decisions, an image or an opinion can soon change somebody’s mind. But what do we know about social proofing as a whole? Social proof goes far beyond social media and in fact social proofing as a marketing tool far out dates social media platforms. It’s simply the increase in the number of platforms and users of social media that has enhanced the importance of social proof. Keeping up? This social proof can come in the form of testimonials, reviews or case studies from your existing customers. This social proof comes from reliable, trustworthy and credible experts in the same industry. Social proof from celebrities or other esteemed influencers who have bought your product, used your services or visited your establishment, it helps a great deal if the celebrity is properly matched to the brand. This comes when a large number of people or groups provide social proof proving that thousands of people or more have taken the desired business action, be it buying a product or subscribing to a newsletter. As above but the social proof is on a smaller scale and comes from friends of your users or website visitors. An easy example is the ‘like’ button on Facebook. This one often gets forgotten, however we feel it’s just as important to get a mention. This comes from an accredited 3rd party entity which certifies that you are knowledgeable and trustworthy source. Why is social proof important for your business? Users’ movements can be unpredictable especially as technologies change and the Internet adapts. However, a consumer behaviour that continues to remain consistent is social proof, this is why it’s becoming such an important focus for businesses. Knowing that over half of customers read reviews before making a decision is monumental, it shows how much trust a consumer puts into others and how they can be influenced. And in fact, there are further stats to prove the significance of reviews on page, how about these as food for thought: Reevoo research claims that having reviews present on your site can lead to an average of 18% increase in conversion. In 2011 iPerceptions proved that 63% of customers are more likely to buy from a site that has reviews and finally, Bazaarvoice showed that consumers who take the time to read reviews and customer questions are 105% more likely to make a purchase. By getting the best results from your conversion rate optimisation you will of course increase your ROI. However, in the process social proof marketing can benefit your website in more ways than one. Another significant benefit is boosting your companies brand. ...an evaluation by an individual and can affect the perception of a decision, action, idea, business, person, group, entity, or other whenever concrete data is generalized or influences ambiguous information. In layman's terms it can be said that a well established business brand has an influential effect on a person's decision. Social proof is a way of finding new visitors. An increase in engagement throughout your site. Social proofing can help you to find the right customers for your business. Social proof breeds trust into customers. It’s clear to see why businesses are spending time and money on perfecting their social proof marketing; the power of the strategies are undeniably significant in easing the minds of customers, and in turn benefitting your conversion and ROI. Below is a table showing you the best social proof strategies to increase conversion. We’ve given you a helping hand by advising how hard each is to implement and their potential reward. 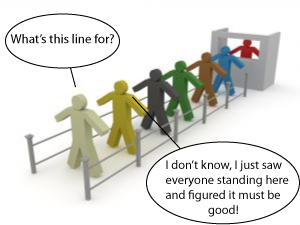 Seeing a long queue might not always make you want to jump in it, but it does spark an interest into what the queue is for and whether or not you’re missing out, it’s a natural reaction and as we’ve proved it’s this psychology of your audience that you need to explore. When we consider the numbers; over 60% of customers reading reviews before making a purchase, it’s evident that businesses cannot ignore the power of social proofing. Using our comprehensive list of strategies you will be well on your way, from ‘like’ buttons to customer case studies, the list shows how easy social proof is to put into practice. What are you waiting for? Get sharing! If there are examples that are working for you and you want to share them, or alternatively, you want to chat to the experts, get in touch. We’d love to hear from you. You can give Luke, our Client Services Director, a call on 01233 800 991 or drop him an email at [email protected] and he will be happy to help you.